EK Success HONEY BEE Non-Stick Scissors 54-00049 at Simon Says STAMP! 54-00049 /2.1 /54D This item is on reserve until If you would like to reserve this item now, you may purchase it now with the rest of your order. We will hold your order now and ship your entire order as soon as this item is back into stock. If you would like your order to ship now, please place this item on a separate order. 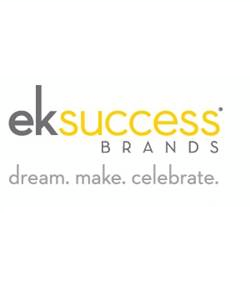 Success, EK Success HONEY BEE Non-Stick Scissors 54-00049 has been shared! The Honey Bee scissors are cute & compact for all your paper crafting and scrapbooking needs. The precision-ground tips are great for precision cutting and expert at cutting right up to the tip and the unique comfort grip handle is easy on your hands. Includes a protective safety snap-on safety cover. NON STICK!